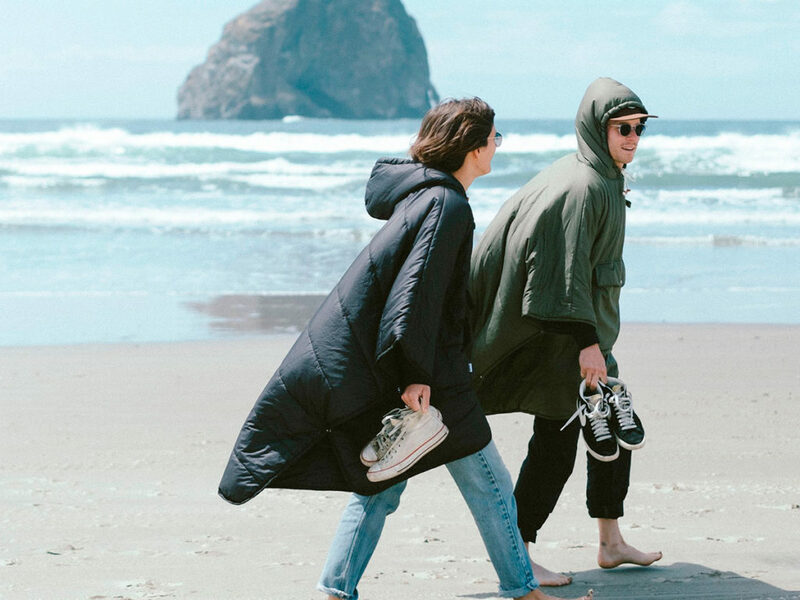 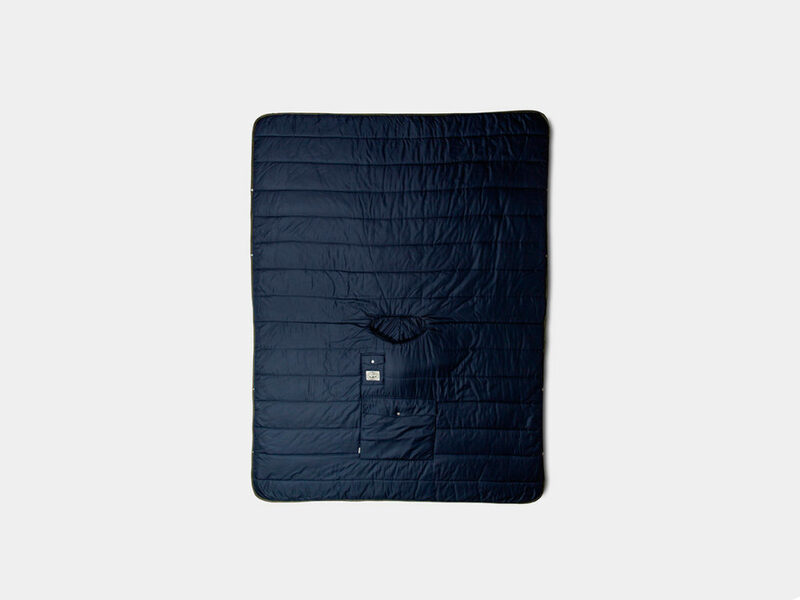 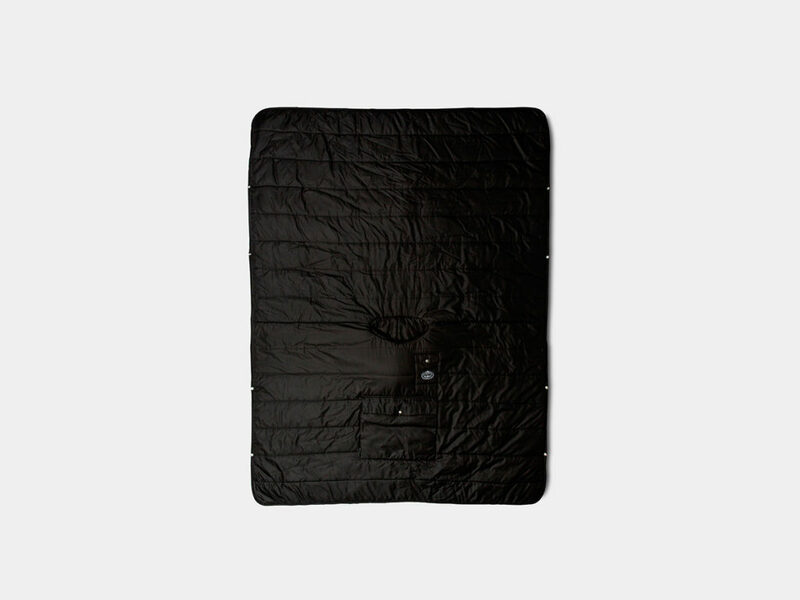 Whether you wear it like a poncho or like a rain jacket, this insulated and fully waterproof blanket keeps you warm, cozy, and perfectly dry. 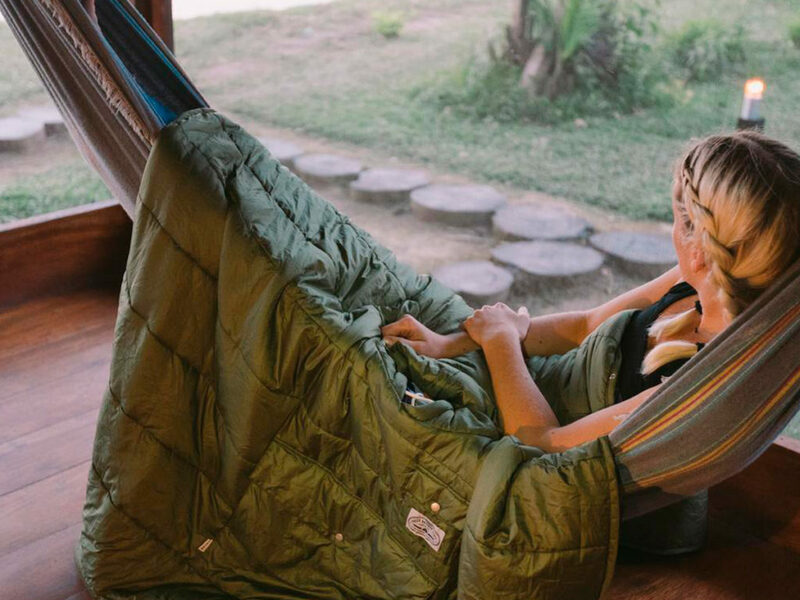 The Poler Reversible Camp Poncho Blanket stuffs a fully waterproof protective shell with Thermastuff insulation to keep you warm and cozy as well as perfectly dry. 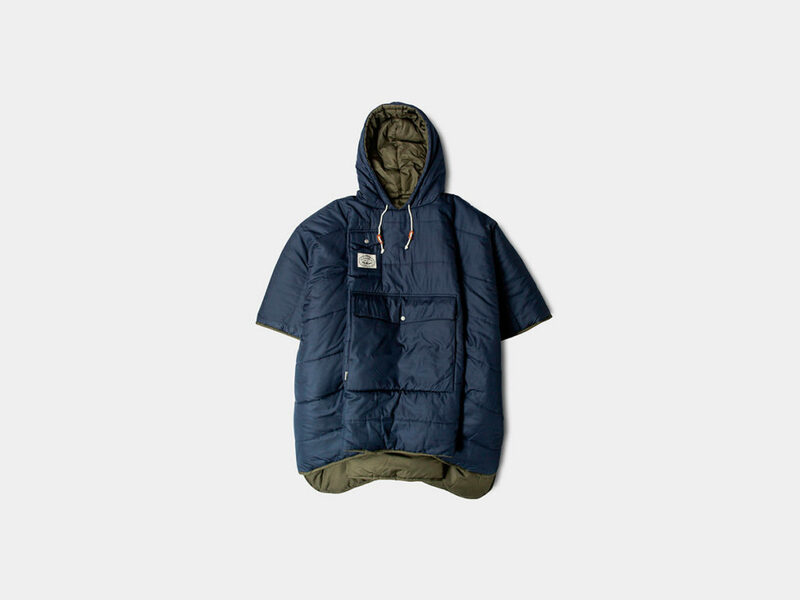 Open this garment wide to wear as a traditional poncho or, for a more slender look and feel, snap up its sides to transform it into something far more similar to a rain jacket. 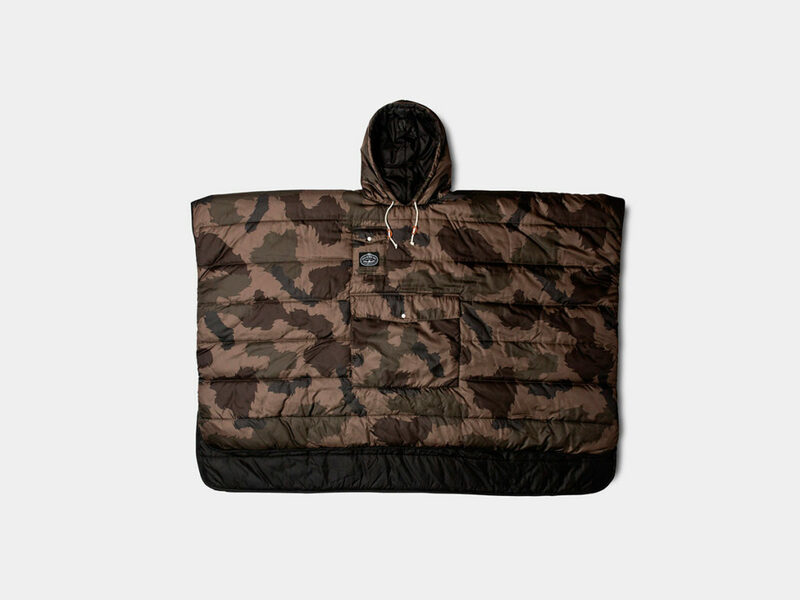 To store your belongings, the Reversible Camp Poncho Blanket features 14″ x 12″ kangaroo pouch pockets and 4″ x 5″ accessory pockets on each side. 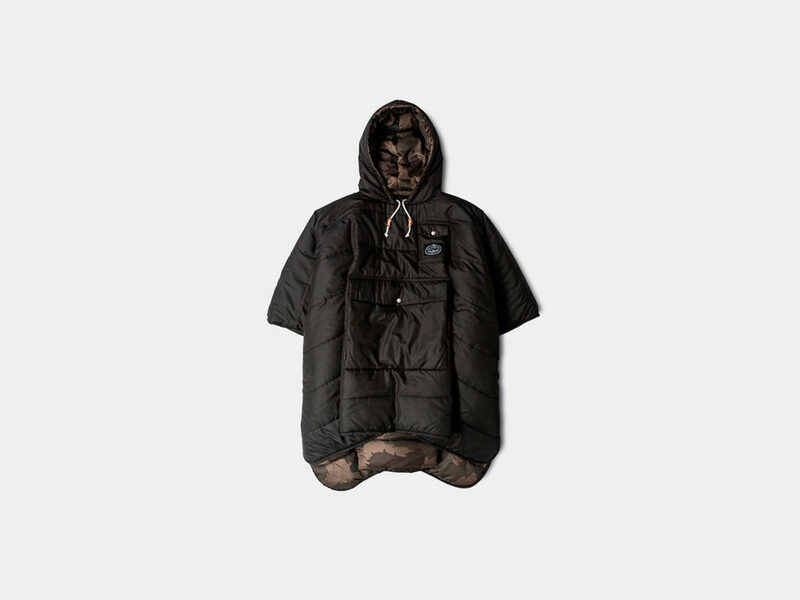 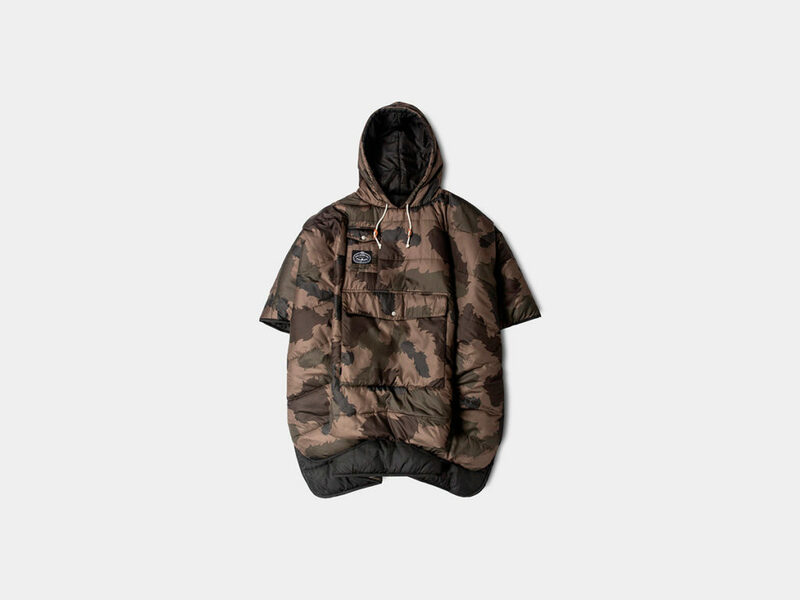 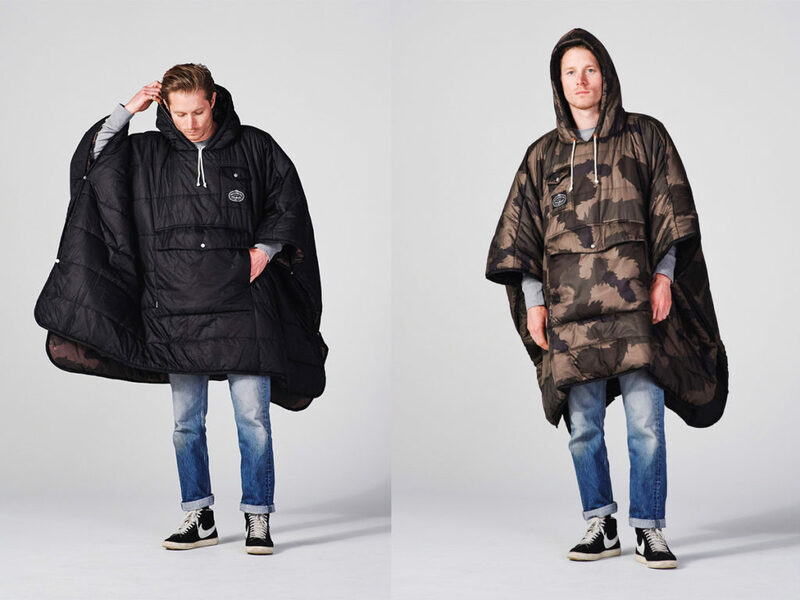 To store the jacket itself, each unit sold comes complete with an 18″ x 8″ stuffsack.